Point2 Homes gives you far more than a simple list of houses for sale. Get instant access to a lot of relevant information about Oakville, ON real estate, including property descriptions, virtual tours, maps and photos. The search results pages also have a wealth of information on Oakville, ON, if you scroll all the way down. 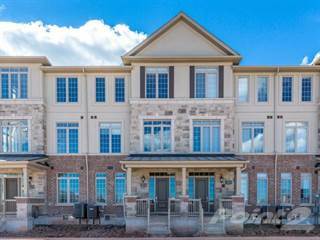 There are houses for sale in Oakville, ON. Searching homes for sale in Oakville, ON has never been more convenient. With Point2 Homes, you can easily browse through Oakville, ON single family homes for sale, townhomes, condos and commercial properties, and quickly get a general perspective of the real estate prices. Also, you’ll never miss a bargain if you filter listings based on house price drops in the past six months. Use the map view to find Oakville, ON homes and apartments for sale, based on amenities or city features that you may want close by. You can close in on a specific neighbourhood or area by simply drawing around them with the polygon or radius tools. Stay informed about the latest entries on the real estate market by saving your searches. This way, you get new listings in your inbox, daily or every week, based on your preferences. If you’d like to get in touch with a professional, agents are displayed next to their listings, and they’re easy to contact through the online forms. If you want more options, you can click the Tools tab and Find an Agent, and you’ll get a list of helpful and knowledgeable real estate agents in Oakville, ON. Visit the Point2 Homes blog and you can find up to date expert advice on many markets throughout Canada, regular market reports, neighbourhood scoops in cities throughout the provinces, real estate deals and useful recommendations. Oakville is a town located in the southern area of the province of Ontario in close proximity to Lake Ontario. With a population of around 182,500 individuals and a land occupancy of approximately 140 square kilometers, it is a small town that is slowly increasing in population by around 10% every 5 years or so. It is considered to be one of the safest towns in the entire province by both its inhabitants and the tourists that visit it. As Oakville happens to be part of the Greater Toronto Area, it is not uncommon for residents to take a long commute towards jobs located in the central area of Toronto. With that said, there are also ample opportunities for employment within the town of Oakville. It is a promising hub of employment for those who are specializing in pharmaceuticals and product manufacturing. With respect to entertainment and tourism, Oakville offers a lot that can be enjoyed alone or with close friends and family. If you are a big fan of golf, the Glen Abbey Golf Course is the first place you should check out. The Canadian Golf Hall of Fame is also here if you would rather check out the history of some of Canada’s greatest golf players of all time. Amongst the other things available to tourists and residents are the parks located near Lake Ontario, museums documenting life in Oakville within the 19th century, and a view of the town’s best mansions alongside Lakeshore Road. Although citizens will refer to their entire city as Oakville, they will often specify the exact neighbourhood that they live in. This is due to the fact that each neighbourhood tends to be a respectable distance away from one another. In fact, there are a total of 25 smaller neighbourhoods that exist within Oakville. For the sake of simplicity, these are sometimes referred to as being in “Northern” and “Southern” Oakville. Northern Oakville contains 14 different neighbourhoods including Bronte Creek, Joshua Meadows, Rivers Oaks, and Wedgewood Creek. With convenient access to all of the major highways and transit pathways within the city, residents will not have to worry about difficult and long commutes to school or their place of employment. Other featured amenities include nearby daycares for busy parents and community centres for children and teens to engage in physical activity. Residents can expect to see a healthy balance of urban architecture and preservation of green space. Southern Oakville is home to a total of 11 neighbourhoods, such as Morrison, Ford, Southwest Oakville and Glen Abbey. Much like Northern Oakville, it also has access to major highways, shopping centres, and several recreation centers. The schools within this area tend to have higher rankings within Oakville’s list of top schools, one of them being Trafalgar High School. For those who prefer historic museums and tourist attractions, this is definitely the place that you want to be in. Due to the closer proximity of these homes to the 16 Mile Creek, private rowing and canoe clubs have established their base there as a hub for recreational and competitive rowers and canoers. The creek also allows ample room for those who want to use their motorboats, or sail their boats on a warm summer afternoon. Northern Oakville tends to be better oriented for families and communities. This is reflected by the types of homes that you will see in these neighbourhoods, which tend to be semi-attached homes, detached homes, and rental properties. Many of these homes are relatively new in age, having been built in the late 90s and later. Some of them still undergo continuous renovation to this day that will result in an improved valuation when it becomes time to sell them. These homes are usually in close proximity to one another and are near to various amenities such as shopping malls, restaurants, parks, and elementary schools. 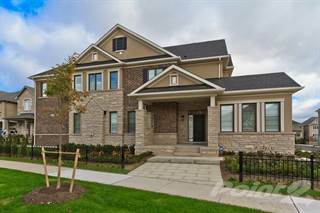 Southern Oakville, in contrast, attracts upper-class families and wealthy individuals due to the abundance of luxury homes that are present. This means the inclusion of high-end condominium apartments, detached mansions and large semi-attached homes that are much larger in terms of house size and the property occupied. The properties here tend to be much older in age, with only a few of them needing any kind of modern renovation. If you are lucky enough to purchase the right property, you will have nearby access to the lake right at your doorstep! As you can imagine, the homes here are far higher priced in comparison to the properties that you will find in Northern Oakville. They are also spaced out far more, which makes for neighbourhoods that are much smaller in population density. The following table, based on data taken from the Canadian Real Estate Association (CREA’s) National MLS® Report for April 2016 (the latest information available), demonstrates how homes in LSTAR’s jurisdiction continue to maintain their affordability compared to other major Ontario and Canadian centers. Oakville possesses only a single post-secondary institution, Sheridan College, which is best known for producing students that are exceptional in the fields of animation and business. The majority of the schools within Oakville consist of elementary schools and high schools. The 110 elementary schools within Oakville are a healthy mix of public, private, francophone and Catholic schools. Many of these schools and their associated school boards take full advantage of their websites and their social media profiles, updating students and parents each day with new developments and announcements. There are many special learning classes for those with learning disabilities, and accelerated learning programs for eager students that wish to take their education to the next level. This sets them up for the challenges that face them once they pursue further education in secondary and post-secondary schools. With many schools achieving stellar reputations, it is hard to go wrong with any of them!